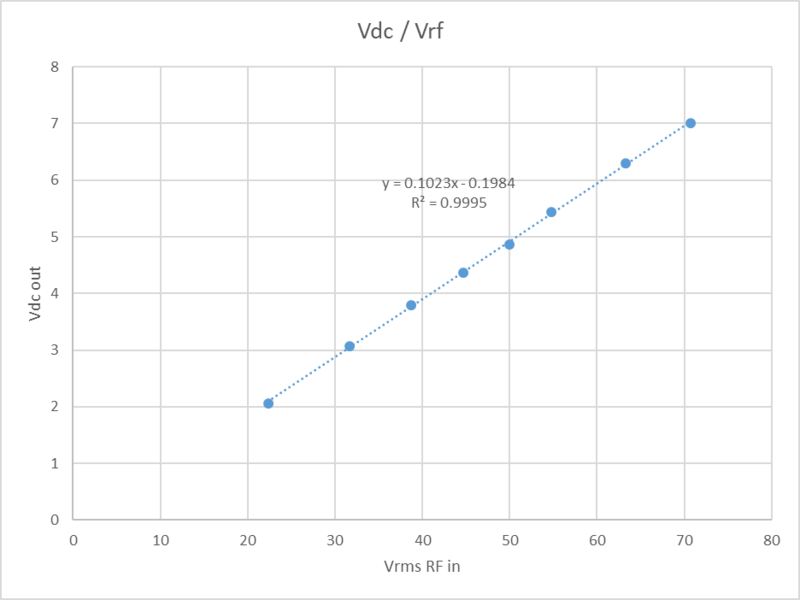 The points appear to be in a fairly straight line, but as the curve fit shows, that line does not pass through the origin, there is a non-zero intercept of -0.1984V and so the DC output is NOT exactly proportional to RF input voltage. If this detector was used in the type of VSWR meter where is ‘calibrated’ by adjusting a pot for full scale deflection from the forward coupler, then the reflected coupler is displayed to directly read VSWR from the meter scale. 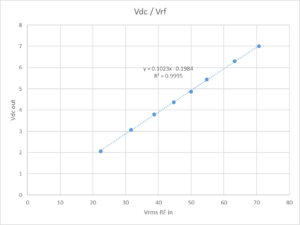 Here is the problem: the DC output voltage is not simply proportional to RF input voltage, and the indicated VSWR will be sensitive to power level at which the measurement is made. 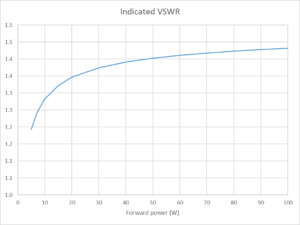 Above is a plot of the expected indicated VSWR for a VSWR=1.5 load given the detector characteristic. You will note that at 100W there is a small error which becomes worse at lower power levels. The use of a half wave detector on each directional coupler is very common, though not the only technique used. It is possible to compensate for the offset in linear or digital electronics, but although fairly easy, it is not very often done. IC-7410 tests – 04 – Tx power & SWR meter shows how VSWR meter indication is not accurate below about 50W output. A similar test on an IC-7300 shows very similar behaviour. Radio-Kits SWR meter – build and review is an LCD display meter that performs the compensation in analogue electronics. This reads VSWR=1.5 correctly down to 2W forward power. 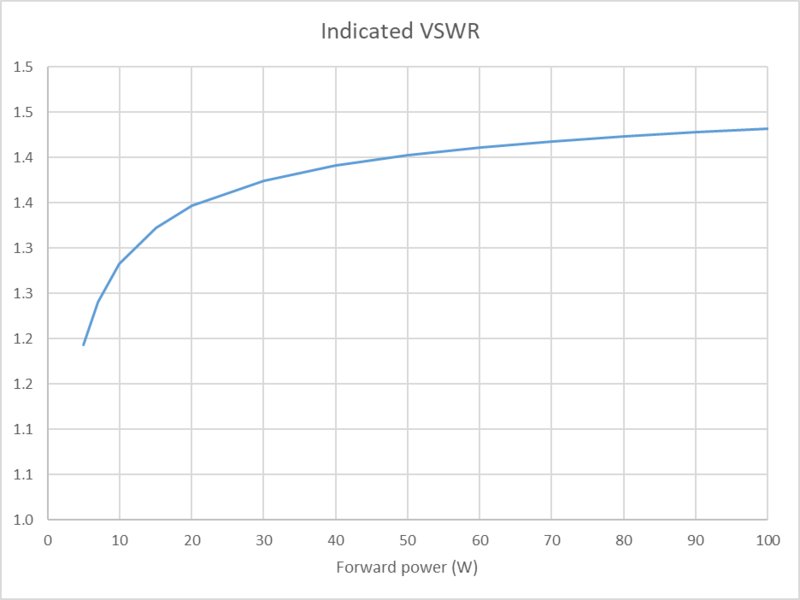 In answer to the intial question, when indicated VSWR decreases at low power, the lower reading is probably invalid. Use the reading at higher power where the reading becomes independent of the power level.